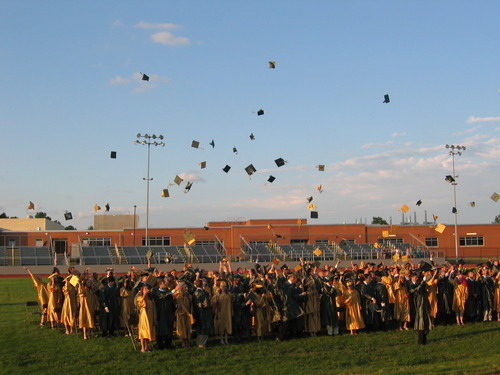 It’s a special time for parents and graduates – a time to celebrate closing the chapter on childhood and opening a new chapter into adulthood. Saying goodbye to your child and preparing them for college is never easy, and there’s plenty for parents and new grads to worry about. Choosing what to pack, registering for classes, and – at the top of parents minds – preparing for dorm life. Eating healthy in a dorm isn’t always easy, but parents can make sure their graduates are ready to eat hot, healthy meals, even in a dorm room, with the Hot Logic Mini. A smaller, portable – and tastier – alternative to the microwave, the Hot Logic Mini works anywhere there’s a power outlet. Students can cook and reheat meals in their dorm, in the study room or at a friend’s house without the fuss of a stove. Not to mention the Hot Logic Mini can cook much healthier meals than Ramen Noodles or mac and cheese! Fresh vegetables; frozen cuisine; leftover pizza; fresh chicken breast; there’s not much students can’t prepare in their personal, portable oven. First, students will need a few flat bottomed, tight-lidded containers to fit inside the Hot Logic Mini. Next, they can stock up on fresh veggies, meat, frozen healthy cuisine, and even college living staples such as noodles and pasta. Preparing noodles or pasta is as simple as submerging the noodles in water, sealing the container, and letting it cook until tender. Uncooked meat and fresh veggies can be cooked together, by placing the meat in the container first, and arranging veggies and seasoning over top. Leftover pizza or cafeteria meals can be perfectly reheated in as little as half an hour. Cook times for frozen, fresh and reheated meals vary, but the good news is that there’s no need for a timer, or to watch the portable oven as it cooks. Once the Hot Logic Mini automatically reaches serving temperature, it holds the meal at a safe, hygienic temperature, until the student is ready to eat. Students can even leave meals at home in their dorms to cook all day, and come home to a hot, healthy meal, ready to eat. The only cleanup required is rinsing out the container. The first move away from home is always the toughest, and figuring out what to bring and what to leave home is never easy. First year students are likely to move several times throughout college, so packing light makes life easier in the months and years to come. Bulky microwaves – often bought by parents with the best intentions of making sure their kids can eat in their dorms – are often more of a hassle than they’re worth. Most often, microwaves end up getting sold on craigslist after the first or second dorm move. In contrast, the Hot Logic Mini fits easily in a backpack, and can be stored under the bed or in a drawer, leaving more space in the dorm for textbooks and memories of home. While microwaves can encourage students to depend on unhealthy meals like Ramen Noodles, the Mini makes it just as easy to eat fresh, healthy meals as it does to eat pasta or pizza. When looking for the perfect gift for a graduate this year, you can ditch the bulky accessories and cash envelopes. At just $49.99, Hot Logic Mini is the perfectly useful, portable and tech-forward gift for graduates. Browse more recipes for the Hot Logic here on our blog, or learn more about how to use the Mini on our YouTube channel.